We eat a lot of yogurt in our house, fat free Greek yogurt in particular. Although we have tried many different brands, our favorite Greek yogurt is the fat free version of the Fage brand. We enjoy this yogurt topped with fruit or a drizzle of honey, and we also use the yogurt in any recipe that calls for sour cream. One other way I use this wonderful yogurt is to make yogurt cheese, which can be easily accomplished simply by draining the yogurt in a strainer for a few hours in the refrigerator. The cheese has the texture of cream cheese but has a lovely tangy flavor. Once you have made your yogurt cheese, you can season it with salt, pepper, fresh chopped herbs, and lemon zest as I show in this recipe, or use your imagination and add some of your favorite seasonings. You can now spread this cheese on sandwiches, on salty crackers, or even on warm toasted bread topped with ripe tomatoes as I show below. 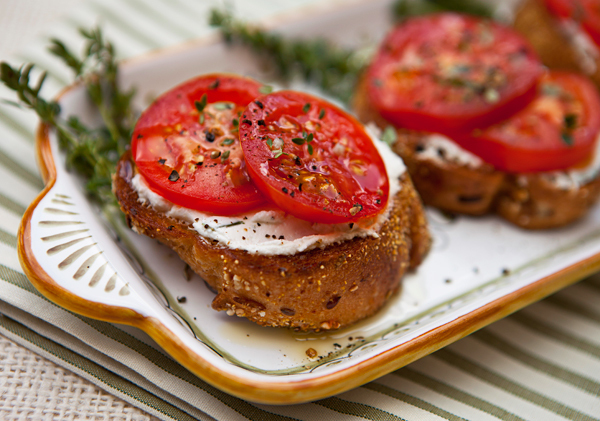 To make the tomato topped toasts shown below, I simply grill sliced multigrain bread, brush it with some of the finished seasoned cheese, then top it with sliced ripe tomatoes. To finish, I drizzle the tomatoes with some really good extra virgin olive oil, a sprinkling of coarse sea salt, cracked black pepper, and fresh thyme leaves. 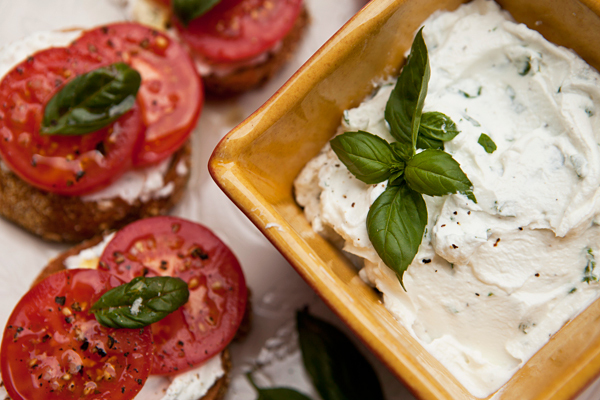 To make a sweet version of this cheese, instead of the savory seasonings, instead add some honey and chopped fresh mint. Spread this sweetened cheese on toasted sweet bread and top with sliced fruit or berries. Fat free Greek yogurt is a healthy source of dietary protein and calcium. 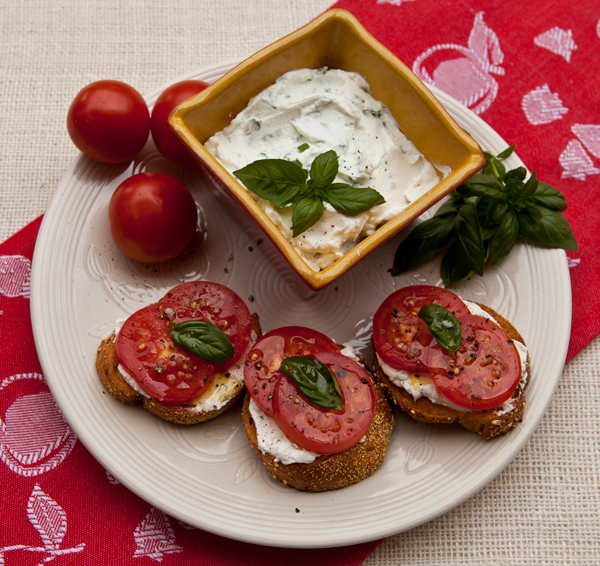 A creamy, fat free snack for spreading on crackers or bread. Place the yogurt in a strainer and place over a bowl. Place the bowl in the refrigerator and let the yogurt drain for at least 4 hours or overnight. Discard the liquid and place the cheese in a bowl. Season the cheese with salt and pepper, zest, hot pepper, and fresh minced herbs of choice. Store the cheese in an airtight container in the refrigerator.